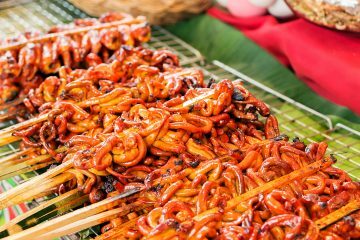 When it comes to Filipino food, a lot of travelers don’t know where to begin. The Philippines isn’t like Thailand where you can wander around and sample amazing street food and each one would be as delicious as the next. 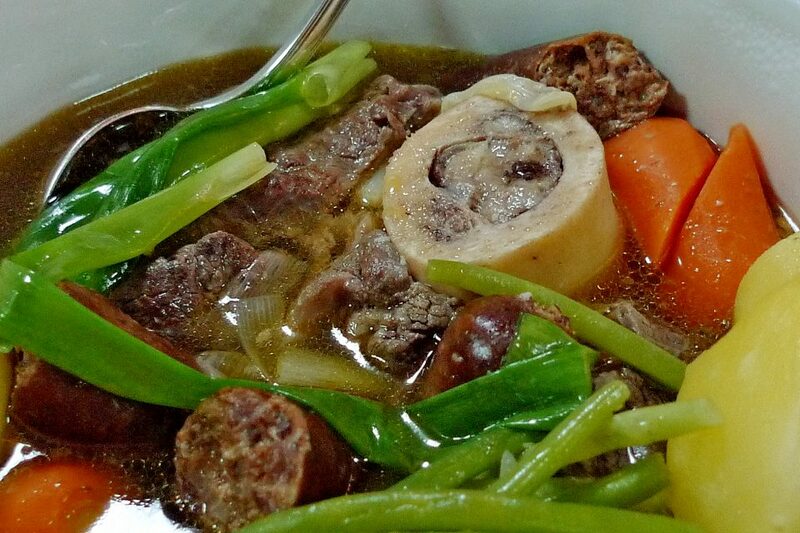 Usually, if you want to eat good Filipino food, you would have to try them at someone’s home. Make friends with a local and without a doubt, you will get invited to sample a home-cooked meal. Because ultimately, that is what Filipino food is all about. Meals shared with family and friends. In fact, eating is a past time here! We are known for planning our next meal…while eating! Here are my top pick on must-try dishes while in the Philippines. A classic staple in everyone’s household. A meat dish made with either chicken or pork that is stewed with oil, soysauce, vinegar and garlic. You can find this in almost every Filipino restaurant and canteen. Modern twists to this dish can be found as they pan fry the meat, essentially cooking it twice giving it a crispy but still moist exterior. 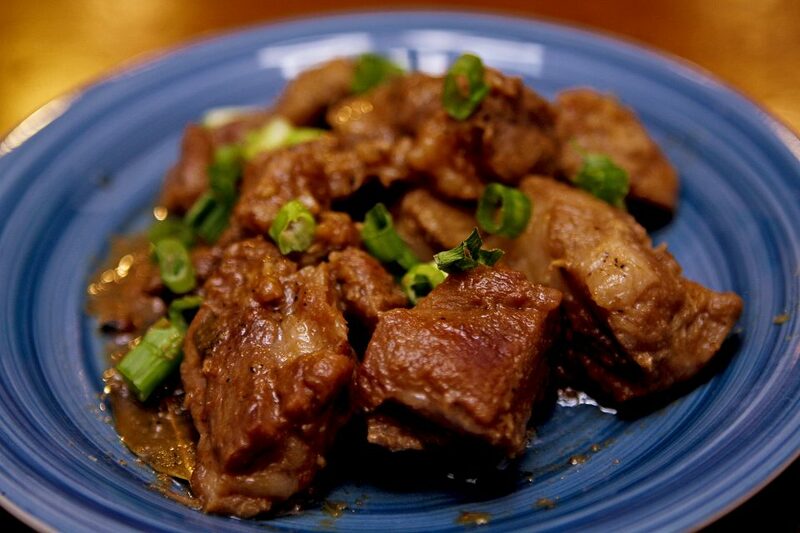 Growing up, everyone claimed bragging rights to their mum/nanny cooking the best adobo! A sour soup (think Tom Yum without the spice) which can be cooked with either pork, shrimps, or fish. This tangy yet light soup is cooked with many different types of vegetables and is typically made using tamarind. Sinigang is one of my favourite Filipino food and is the perfect rainy day meal. Trust me on this! 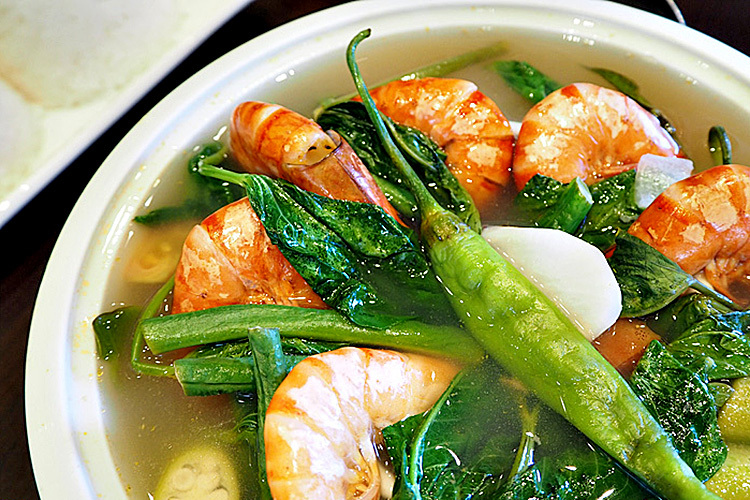 There is nothing better than to cuddle up on a rainy day and eat a hot pipping bowl of sinigang. Now, in case you haven’t noticed this, the Philippines has a strange obsession with pork. It is almost in every meal and eating it is a national pastime. The ever so famous lechon (whole roasted pig) grabs the bag for one of the must-try meals in the Philippines. Often found during someone’s birthday, a local fiesta (party), or in special occasions. Crispy on the outside and moist and tender on the inside. 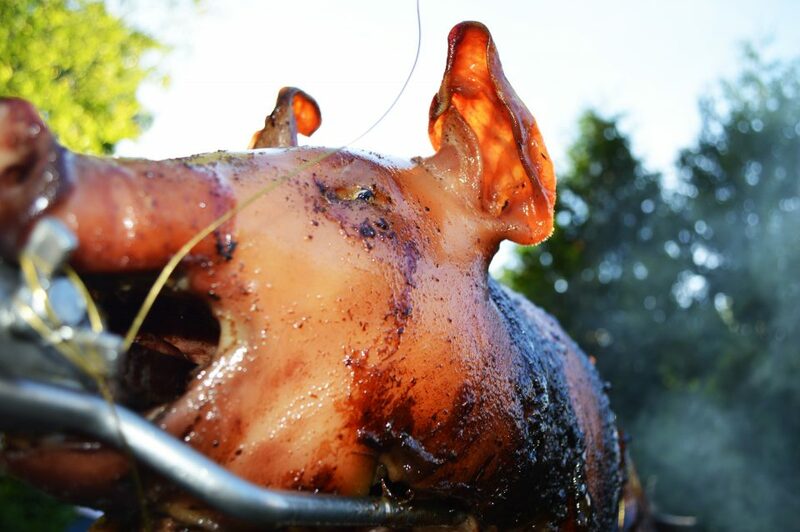 Renowned food show host and chef, Anthony Bourdain declared it as the “best pig ever” Other versions of it can be found, i.e. lechon kawali which is essentially deep fried pork belly is also must try meals. 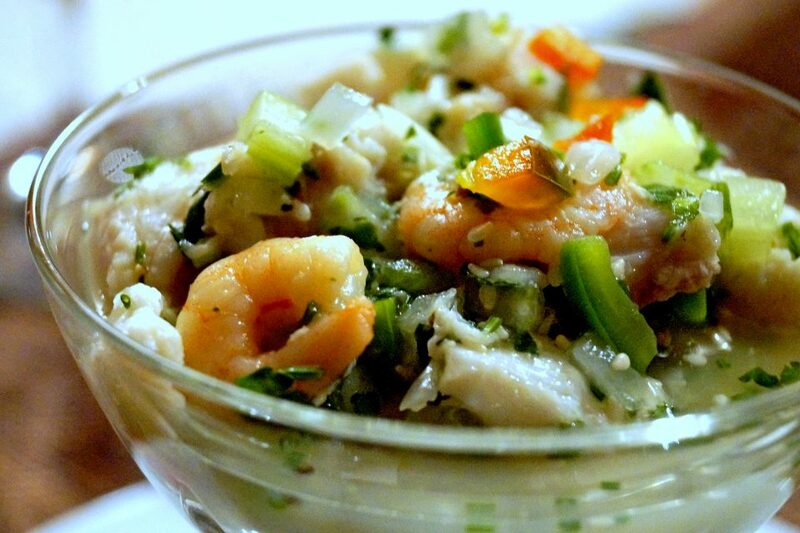 The Filipino version of ceviche is light, delicious and is served with many different variations to it. Essentially, it is raw pieces of fish or shrimp marinated with vinegar, lime, onions, and chili. The acidity in the vinegar cooks the fish and makes it a perfect blend of sour, tangy, and delicious goodness! Others even take it to the next level by adding coconut milk to it. A popular “pulutan” (barchow) which is often paired with a San Miguel Beer, sisig is a tasty treat! 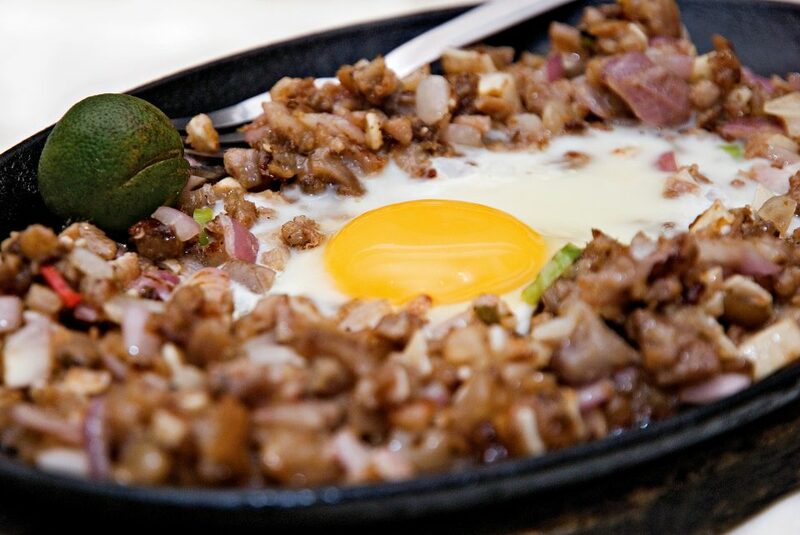 Made from the cheek of a pig, sisig is minced meat that is boiled, broiled, then grilled. Served on a sizzling plate with lots of chilies, pork crackling, and often times an egg, this crispy meal is perfect with an ice cold beer to wash it down. Although it sounds strange, sisig is a true Filipino delight. 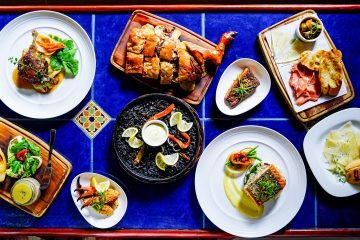 Editor’s Note: If you’re interested in learning how to cook some of these incredible delicacies, we recommend taking a cooking class in the Philippines to learn more about this cuisine. Every time you go on an island excursion, you can be sure of one thing. There will be a bbq picnic! Fondly called in the Philippines as inihaw (grilled), this native style of enjoying one’s food is a testament to how simple food can be. Usually composed of a variety of seafood, chicken or pork belly (liempo), your inihaw is usually served with some rice and soy sauce, local lime, and chillies. Best enjoyed while sitting on a beach somewhere! 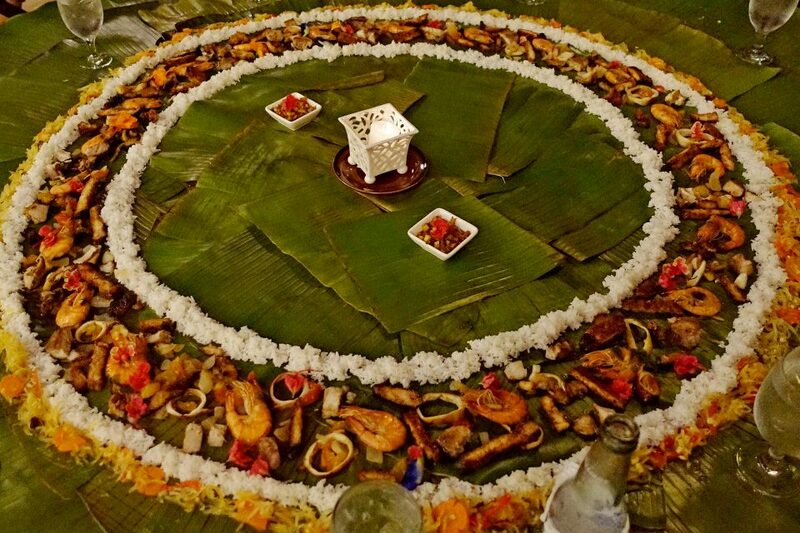 The photo below is called a Boodle Fight. This is where you have all your grilled food laid out on banana leaves and it’s every man for himself as you eat with your bare hands. 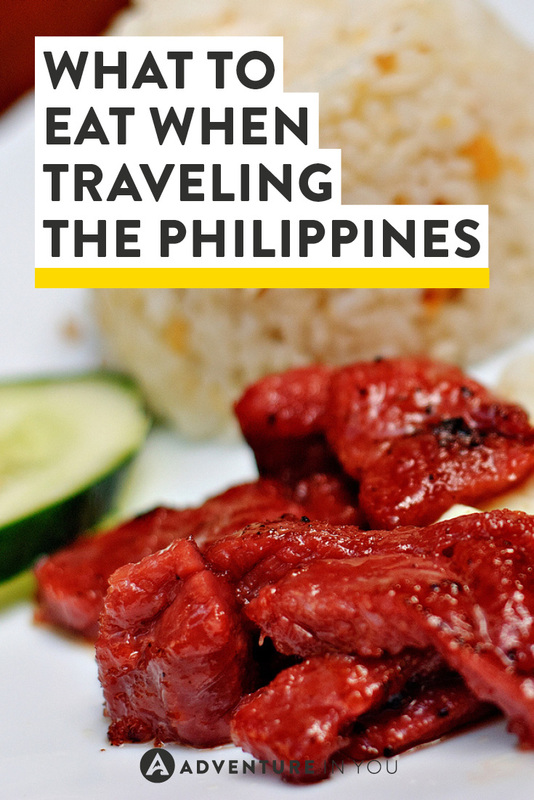 This is a true Filipino culinary experience and is a must try while in the country. A rich soup made with beef shanks and bone marrow paired with cabbage, corn, and loads of other veggies. The melt in your mouth goodness of this soup makes it pretty much irresistible. Some restaurants even serve a crispy bulalo version where they turn the broth into a gravy-like sauce. 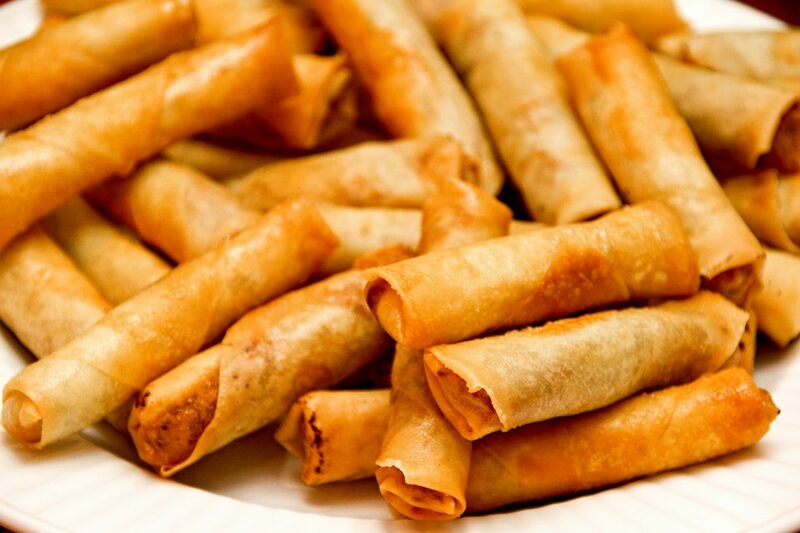 The Filipino version of a spring roll, lumpia has many varieties. Lumpia is often filled with either vegetables or meat, and is a good accompaniment to meals. My favorite though is the fresh lumpia which is a good break from all the deep fried meals! Fresh lumpia is a burrito like dish stuffed with vegetables, served with a sweet sauce and crushed peanuts. Everywhere you go, for breakfast you will notice many different items like tapsilog (beef), tocilog (sweet pork), hotsilog (sausage), bangsilog (fish) served for breakfast. 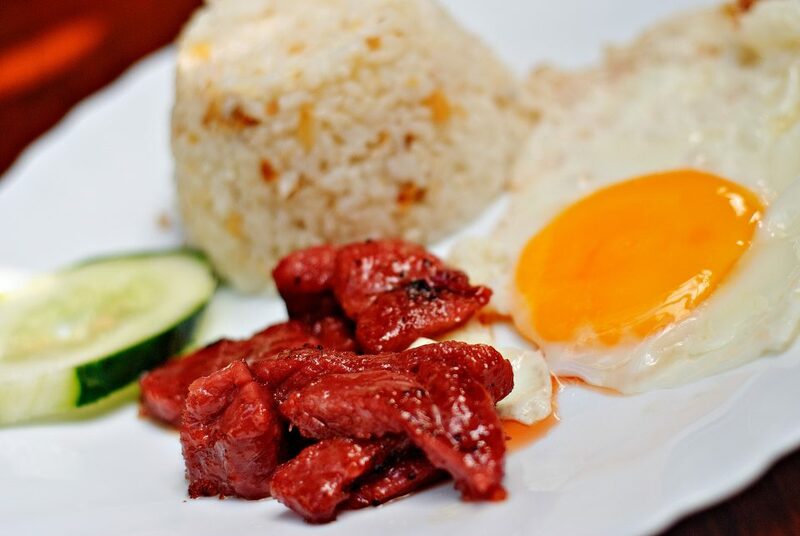 Essentially, it is garlic rice served with some sort of meat, topped with an egg. The perfect hangover cure which can be eaten at any time of the day! Although Filipino food is not everyone’s cup of tea, there are many delicious meals that everyone can enjoy. Unfortunately, vegetarians have to be a little weary as there aren’t that many options for you as Filipinos love their meat! They even cook vegetables with little pieces of meat to add flavor so double check before you start eating your meal. Cool! Going to Philippines in May so this will be useful! Awesome! 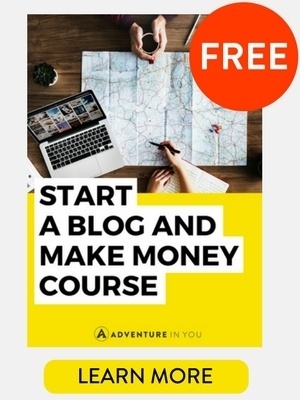 Glad this could be of help. 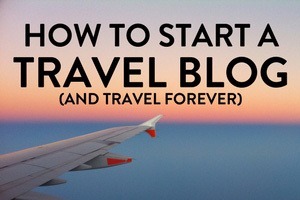 Also-Check out our https://www.adventureinyou.com/the-complete-guide-to-traveling-around-the-philippines/ 🙂 Which places will you be going to? 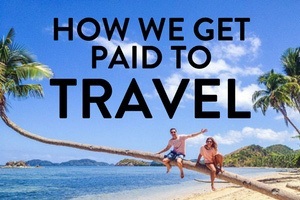 I’m going to Cebu, Moalboal, Cantabacao, Boracay! Been to any of these? Yep!! 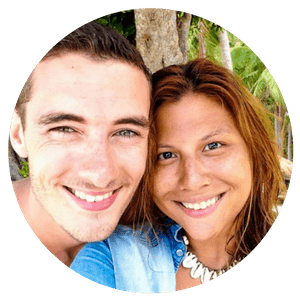 We went swimming with the whale sharks in Cebu and I actually lived in Boracay for 3 years! Check out our destinations page https://www.adventureinyou.com/category/destinations/asia/philippines/ 🙂 Have fun!